Labor shortages, supply-chain inefficiencies, and rising material costs consistently top the list of what keeps our clients up at night. We hear these pains expressed every month in our builder and building product industry surveys and can’t escape news headlines painting a grim picture of our industry’s constraints. Last week I attended two industry conferences: the Building Component Manufacturer’s Conference (BCMC) in my hometown of Milwaukee and the Industrialized Wood-Based Construction Conference (IWBC) in Boston. Reflecting on my trip, I believe our industry is starting to solve these problems holistically by addressing the system rather than individual constraints. 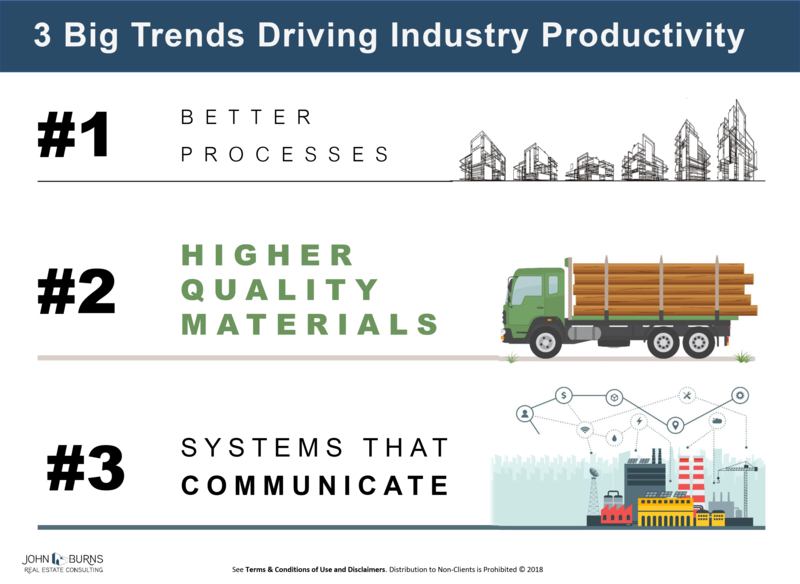 Here are three trends I observed that, together, will facilitate increased productivity in the US construction industry. A handful of companies lead the way in offsite construction, offering fully integrated, factory-built solutions. These players have redesigned processes from front to end to ensure seamless progression across the chain, designing out friction where it used to exist from planning and engineering to site delivery. 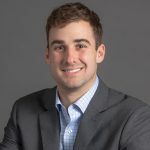 Hundreds of other players who supply components, materials, or services to the industry are implementing the best practices of these offsite construction models, positioning themselves to succeed in a changing market landscape. Many equipment or material suppliers at BCMC and IWBC told me some variation of: “A product or solution is only as good as what it’s made of.” In Europe, the learning curve was long and steep. Companies devoted countless R&D hours to understanding which types of materials worked best for various products and applications. New technology and equipment from saws to material handlers do not function optimally when fed imperfect materials. As one material supplier said, “Applying old thinking to new technology simply creates a more expensive solution.” This same company is building skyscrapers made entirely from engineered wood at a discount to traditional materials. Walking the floor at BCMC, it’s clear OEMs like Mitek, ITW, and Hundegger have supplied world-class machinery for the construction industry for decades. Until recently, however, information management systems have had limitations which created significant inefficiencies in the field. Today, software platforms are better designed, allowing truss or panel manufacturers, vertically integrated builders, or general contractors, to spend more time adding value and less time reworking product in their plants. When our industry begins to function more like an ecosystem and less like a linear operating chain, companies will be able to design solutions that address system needs, creating synergies and increasing overall productivity. Then we might start seeing fewer headlines describing negative outlooks for materials, labor, and overall construction activity and more headlines that make us all proud of what we have overcome. Click here to view a more detailed summary of the conferences. If you have any questions, please contact Steve Basten, Manager at (920) 819-9938 or by email.